Tour Orange County’s First Dairy of Distinction; Celebrating our Bicentennial during 2019! It takes a lot of hard work to keep a farmstead not only tidy, but pretty. In between chores and crops, farmers try to keep the lawn mowed, flower beds full, and farm equipment and spare parts put away. After rain storms it’s especially tricky to keep mud under control – but they try hard to do so because it’s not only their farm, it’s where they live. Farmers that are successful in keeping their farm beautiful may be considered over achievers to some, but to others they are considered a Dairy of Distinction. The Dairy of Distinction Program is based on the concept that attractive farmsteads enhance consumer confidence in the dairy industry. The program recognizes the hard work and dedication of dairy owners and operators who have attractive, well kept farms and promote a good image for the dairy industry. Bellvale Farms was the first to receive the diary of distinction award over 25 years ago and has been recognized every year since. The Bellvale Farms Dairy Barn is the first “Dairy of Distinction” in Orange County, NY. Tours are available at 12:30PM Sundays from June through October. For more info or to make a reservation, call 845-988-5414. 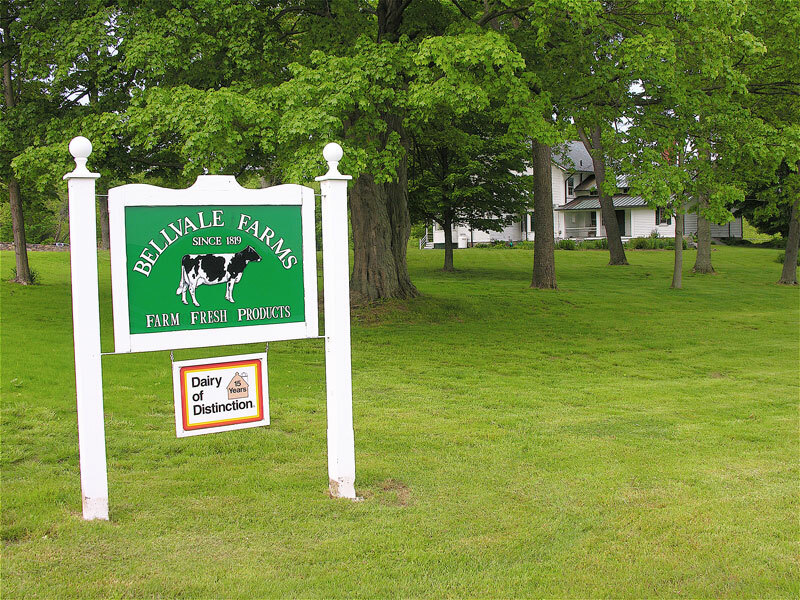 The Bellvale Farms Dairy Farm is located at 75 Bellvale Lakes Road, Warwick, NY, one mile from The Creamery. Established in 1983, the Northeast Dairy Farm Beautification Program recognizes the hard work and dedication of dairy owner / operators who have attractive, well-kept farms and promote a good dairy industry image. 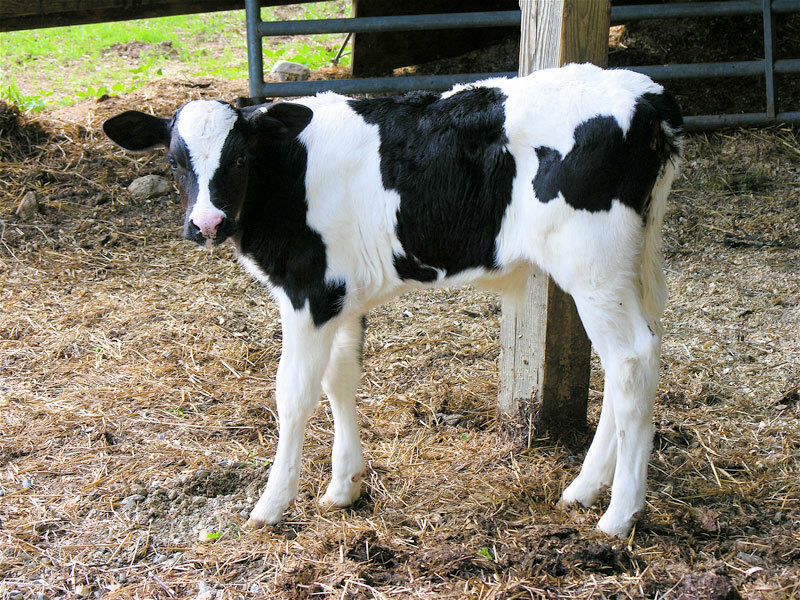 All active dairy farms in Maryland, New York, Pennsylvania, New Jersey and Vermont are eligible to apply for the Dairy of Distinction award. Winning farms receive the special Dairy of Distinction roadside sign for their farmstead. The Dairy of Distinction Program is based on the concept that attractive farmsteads enhance consumer confidence in the dairy industry. The award also recognizes the hard work and efforts of all Northeast dairy farmers. “This grassroots recognition has been the key to the program,” said William Underwood, New York’s first president and farmer from Tully, NY. “This is one way dairy farmers can directly promote their industry.” Honoring these farmers say’s ‘thank you’, and by promoting this program we can encourage other farmers to do the same.